The local and national bus services are actually pretty good, although individual buses can often be quite unreliable in terms of operating when they should, or breaking down on the roadside. 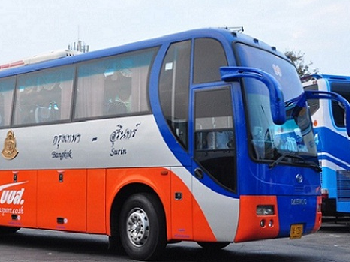 Travelling by bus from udon Thani though is very cost effective, with a bus ride to Nong Khai some 45 kilometers north for just 75 baht, and less than 600 baht to Bangkok. Buses to most destinations operate every hour, in some cases as frequently as every 20 minutes. Wherever possible, we would advise you make use of the VIP bus service, which is far more comfortable than most 'standard' buses. 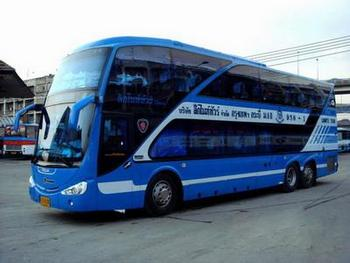 Bus journeys to Bangkok, Southern, Eastern and Central regions can be taken from the central bus station in Udon Thani. There is also a frequent minivan service to Nong Khai available. The Northern Bus Station in Udon Thani is located to the west of the city, just of route 210 ring road, and serves the north of Thailand, cities such as Chiang Mai and Chiang Rai, in addition to nearby Nong Khai. 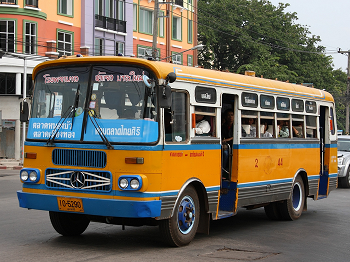 Buses to Nong Khai can also be taken from the Thanon Mittraphap road, to the north of the city and ring road.